Flags, national symbols, and patriotic displays. "Home Flag" - A flag and flowering climatis vines adorn the railing and deck of a home at Ocean Grove, New Jersey, USA. 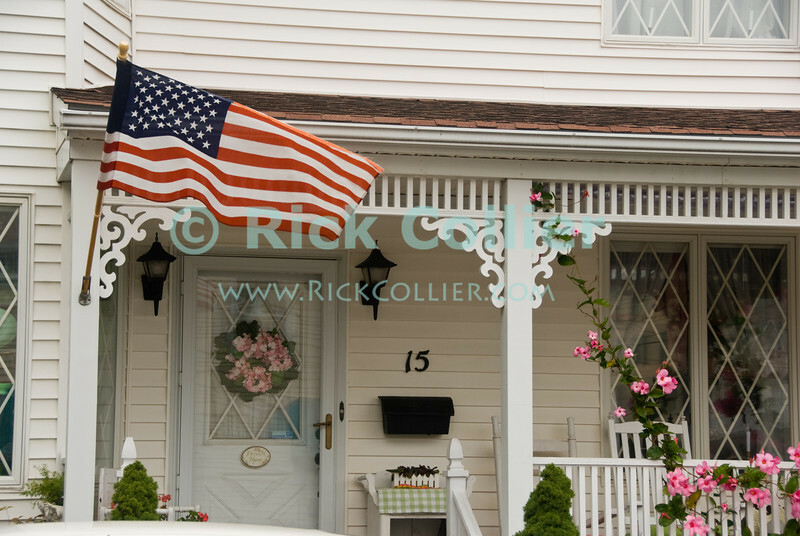 USA "New Jersey" NJ "Ocean Grove" Ocean Grove sidewalk house home deck porch railing post flower flowers Climatis vine flag "stars and stripes"